As of an August 4 filing, Sears Holdings still had 506 Sears locations and 360 Kmart locations. The retailer, which sought chapter 11 protection in U.S. Bankruptcy Court in White Plains, N.Y., reached a deal with its lenders that will allow the 125-year-old company to keep hundreds of its stores open for now. As part of the deal, Sears is expected to close at least 150 stores immediately. Sears has already closed hundreds of stores and struggled with losses for years, and is required to repay $134 million in loans. According to reports, lenders have agreed to provide between roughly $500 million and $600 million in bankruptcy financing. This will enable the company to keep operating while it restructures and seeks buyers for assets. If you take a look back at what Sears meant to America throughout the 20th century, and what they meant to the supply chain, there’s plenty to be nostalgic about. Sears was a place where you could buy everything from a hammer to a complete pre-made home. They had a complete after sales service network, which reached virtually every U.S. town. They leveraged contract manufacturing so you always saw the store brand, but behind it were effectively the best manufacturers available. You set up delivery appointments at the register, and everything was delivered and with installation if necessary. Sears was also a pioneer in all things omnichannel and what we now call last mile. Besides the sheer employment opportunities, the employees were also highly knowledgeable. Service was a big part of the business model. Also, how can we forget that catalog! At its height, the catalog spanned more than 500 pages. Its strategy of offering all the home merchandise you could dream of was—wait for it—innovative. Other than the Yellow Pages, few other catalogs had such definitive and enduring impact on the American shopping experience. "Sears is an American institution," Jerry Hancock, Sears scholar and historian, told NPR on Sunday. "Sears taught America about the modern world through this catalog," he said. "It completely changed American life. That catalog was sort of a window into this new consumer world, and it really made a connection with people." No company could navigate the tumultuous 20th century and not innovate. In fact, Sears did innovate time and again. In the early 1900s, when they were still a mail-order business, they built a massive distribution complex in Chicago, which occupied three million square feet of floor space. Much like brick-and-mortars today have to navigate the choppy waters of e-commerce, mail-order firms like Sears also had to deal with urbanization. Under the leadership of General Robert E. Wood, Sears initiated a rapid expansion outside of urban centers. By the time the Great Depression hit, the company had over 300 department stores. While this might sound like a recipe for disaster, the company continued to grow. How? By championing an “aesthetic of thrift,” catering to customers in search of finding a good deal. By the end of that decade, the number of stores had nearly doubled. In the late 70s and early 80s, Sears’ annual revenue reached nearly 1% of U.S. GDP. This was the heyday for Sears, with the Sears Tower having reached completion in 1973. It was a symbol of power and prestige, the world’s tallest building, a distinction it held for 25 years. It remains to this day the second tallest building in the Americas. Then, came the slow decline. Competition from other department stores, as well as discount retailers, forced Sears to start slashing prices on its inventory. By 1990, Walmart surpassed Sears as the largest U.S. retailer. Sears sold its naming rights of the Sears Tower in 2009 and took other measures, such as shutting down its catalog business. They also moved into insurance and financial services. There’s plenty more history—both good and bad—in terms of leadership decisions. The point is, however, that Sears endured for such a long time and with such great success for the very reason that it understood the need to adapt to competition and changing market forces. 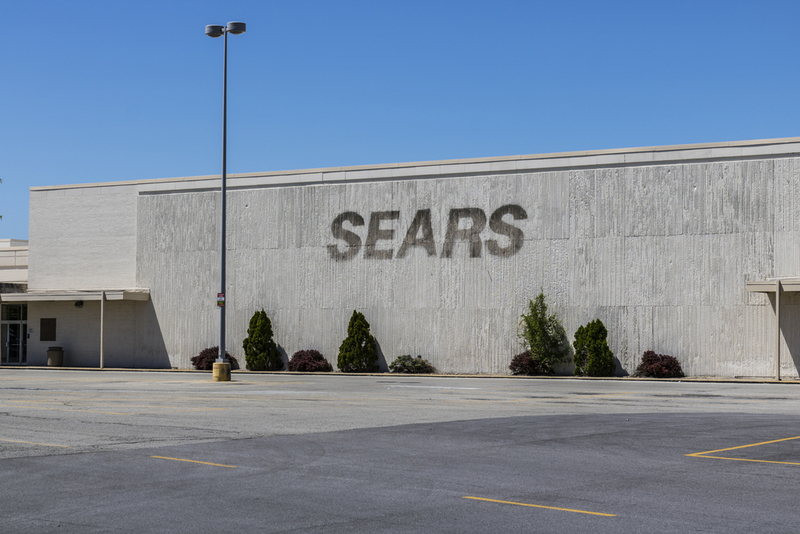 While Sears isn’t quite dead yet, the end certainly does seem near, especially with all the foreshadowing parallels between the company and Toys “R” Us. One very significant series of decisions led to losing essential market share to Amazon. Is it ironic that the quintessential mail-order catalog couldn’t or wouldn’t adapt to being an online retailer? No doubt, it is. Sears failed to make the key transition from an essential shopping catalog to an essential online retailer. Toys “R” Us sought chapter 11 protection last September. Without a reorganization plan or prospect to sell the chain, its management still hoped to survive the filing. Then, the holiday season happened, and it was an unmitigated disaster. More than 800 big-box toy stores in the U.S. were forced to sell or liquidate. When a company seeks bankruptcy protection, it must receive a judge’s approval to cut any checks or make most decisions regarding its path forward, including paying its employees, utility bills and other standard operations procedures. In addition, the company likely will seek immediate approval to begin using a bankruptcy loan to make these payments and keep some stores operating. Nostalgia or not, consumers will simply buy their goods elsewhere. The innovation of the internet and e-commerce and last mile delivery is here, and things are probably changing at a faster rate than ever before. The retail apocalypse is happening. The end is near.